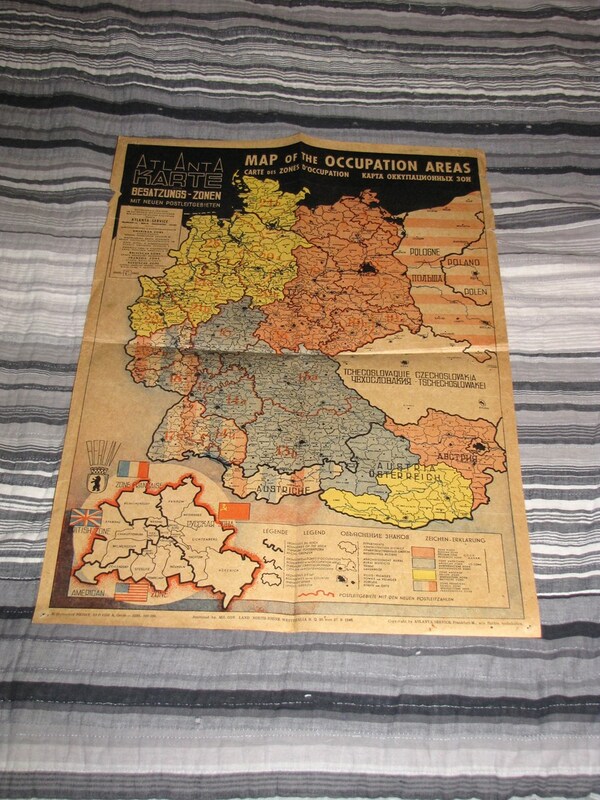 Issued by the Atlanta Service in Frankfurt, this map put out after 27 September 1946, shows approval for its distribution by the military government of the occupying authorities in North Rhine Westphalia. 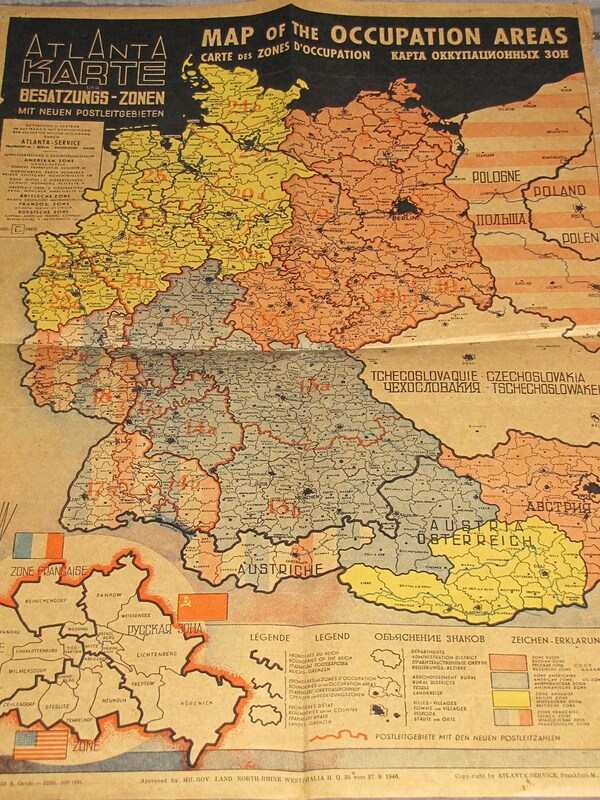 The map has legends in German, English, French and Russian. Measures approx. 15.5 x 20.5 inches.